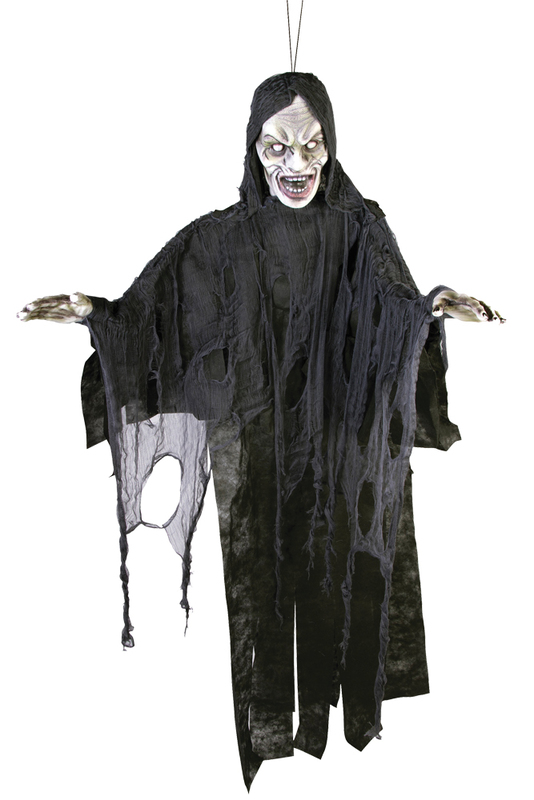 Perfect for your haunted house or home haunt, this amazingly detailed Screamer polyfoam hanging prop with posable arms and gauzy draped garment will move with the slightest breeze! Sure to scare the yell out of your guests! 4 feet tall.